In December 2017, the Gays gifted the land to Mainspring. 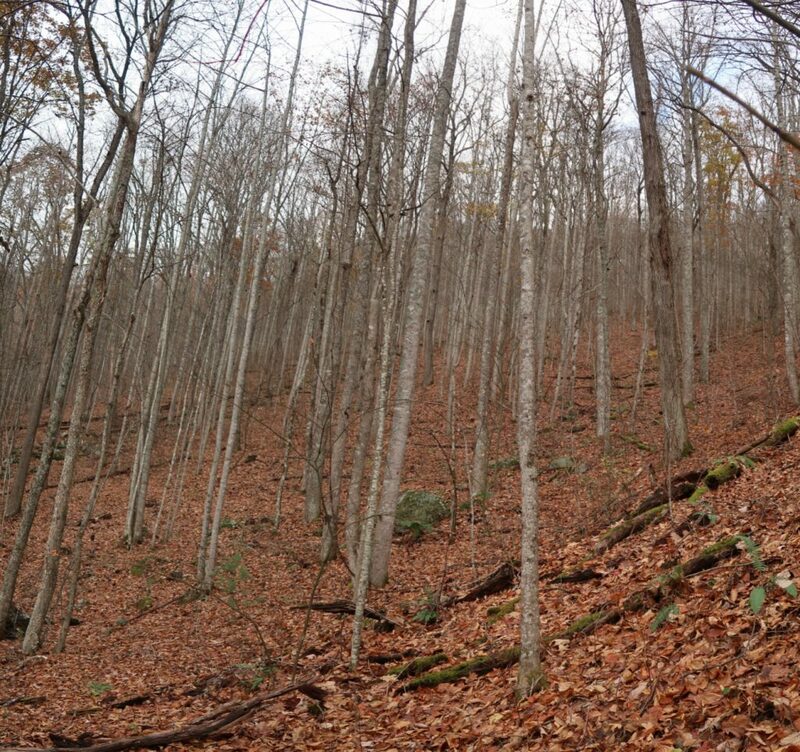 Mainspring then placed a conservation easement on the tract that protected the forested land, which includes the headwaters of East Buffalo Creek and four rare or exemplary natural communities: Rich Cove Forest (Montane Rich Subtype), Rich Cove Forest (Boulderfield Subtype), Montane Oak-Hickory Forest (Basic Subtype), and Rich Montane Seep. 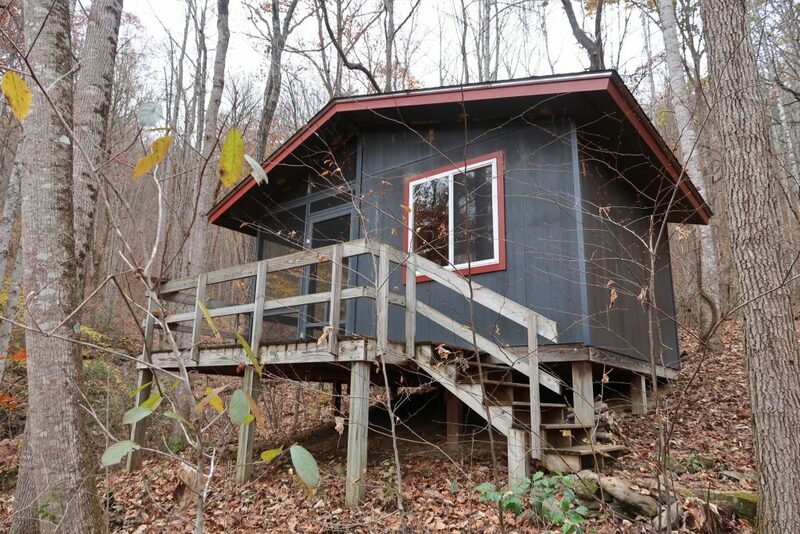 Half of the property borders Nantahala National Forest. One year later, Mainspring sold the conserved property to Stephen and Dawn Robertson of Madison County. Profits from the transaction were divided into Mainspring’s Land Protection, Operating and Stewardship Funds. Additionally, Mainspring purchased a gently used Ford F150 and a UTV for office and land management use. *If you are interested in learning more about the benefits of donating property to Mainspring, contact Jordan Smith at jsmith@mainspringconserves.org. 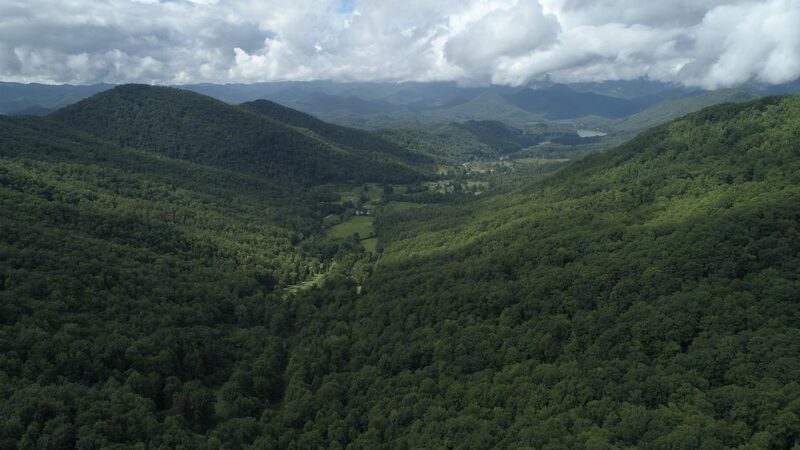 The forested land is visible from Richland Balsam and other overlooks on the Blue Ridge Parkway and from neighboring Nantahala National Forest Lands. 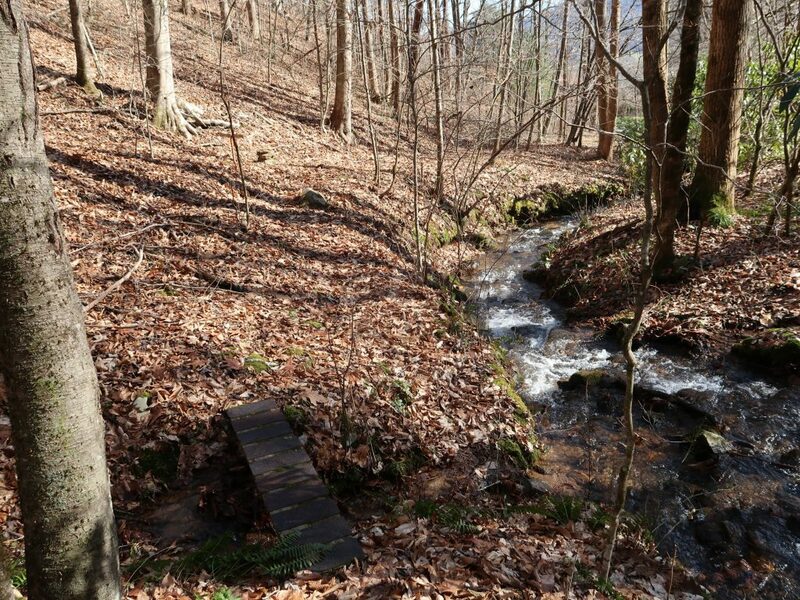 Protecting this property also conserves water quality and aquatic habitat, as its intermittent and perennial streams feed into Bryson Branch and eventually into the Tuckasegee River.